Quick-release method of securing a load or tarpaulin. Pull enough slack. 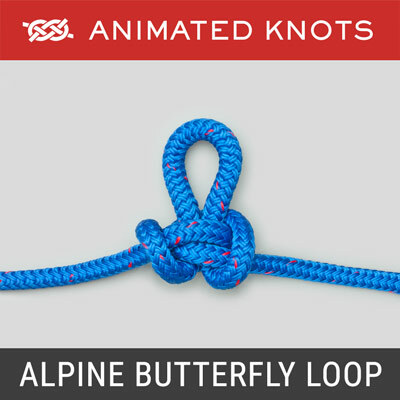 Make a loop in the Attached part (A). Make another loop in the Working part (W) and insert it into the first loop to make a hanging bight. 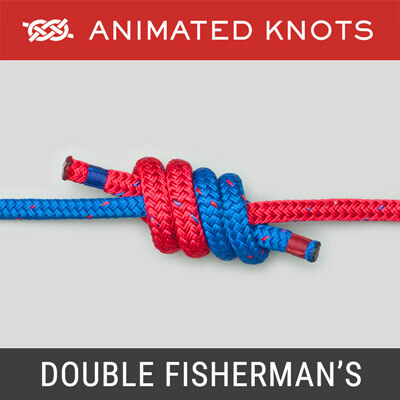 Tuck the Working part into the bight and around the hook. Tighten the Working part, pass it around the hook, and hold it until pulled tight. Pull loop to release. Origin: The Quick Release Trucker’s Hitch (Wagoner’s Hitch) is a slight variation of (ABOK # 2126, p 344). It is based on a Bell Ringer's Knot (one end of a Sheep Shank). I am pleased to thank Tom Synovec for his description of this technique. It is the quickest way of using the Trucker’s Hitch to secure a load – and also to release it. Enhanced Security: Ian Malcolm reports that greater security is achieved at Frame 5 by twisting the loop closest to the hook by 180 or 360 degrees. Alternative Finish: Synovec uses an alternative method. Frame 7 shows a large bight hanging down. Instead of passing this bight around the hook again, he uses it to tie off the knot with half hitches around the bight going down to the hook. Then, each pass over the load is secured and holds even if a neighbor shakes loose, but release at the end of the journey takes longer. Use: The Quick Release Trucker’s Hitch is used in a cascade or sequence. Two people are needed. A single rope is tied off initially on one side of the truck, say at the front. The rope then passes to and fro over the load with a Quick Release Trucker’s Hitch tied each side. 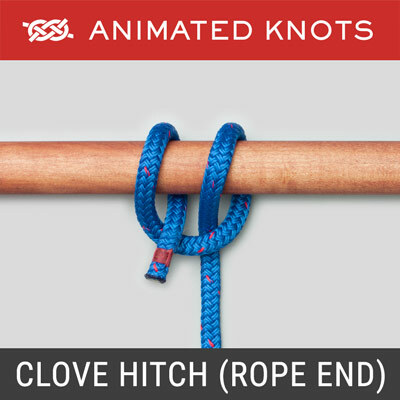 Each hitch is tightened and held until the next hitch is tightened on the other side. 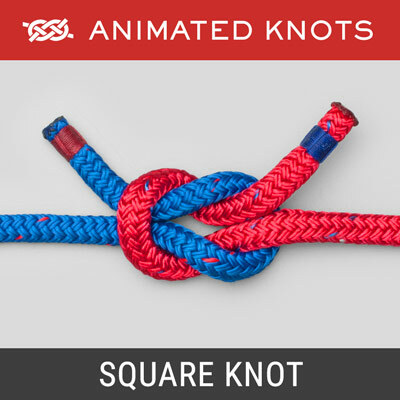 Quick Release: If both ends have been tied off on one side, the load can be completely released from the other side: walk along the truck, pull each bight down, and throw the whole rope over to the other side. Security: The Bell Ringer’s Knot is not particularly secure, especially when tied in softer or more slippery rope. 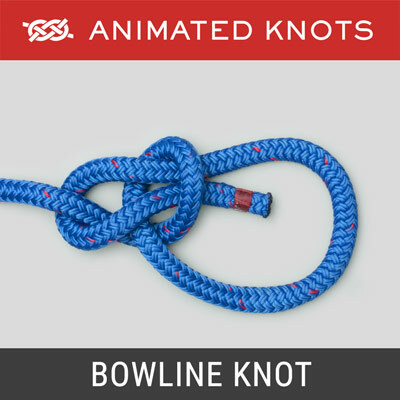 However, the risk is minimized by the use of suitable rope, as well as by tension and friction when tied tightly against a load. Shiny polypropylene and other very slippery ropes are not suitable. Many truckers have used the system as it is described here. The Bell Ringer’s bight should be kept small because this enhances stability and makes it less likely to catch or shake loose. 3:1 Purchase: Just like the Standard Trucker’s the hitch provides a theoretical 3:1 purchase. Because there is a sequence, this mechanical advantage should multiply as each hitch is added: 3:1, 9:1, 27:1, etc. 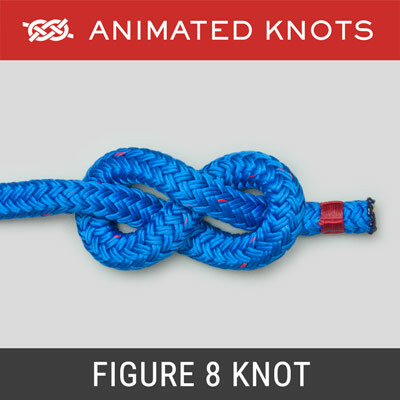 In practice this does not occur because friction in the knot, around the hook, and against the load prevents the slipping necessary for this to occur.